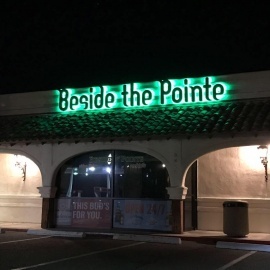 A mainstay in the Laughlin community for over 23 years, Beside the Pointe, with its secluded, quiet lounge, is located in the heart of the Laughlin Community. Designed with a South Pacific theme in mind, the hand-painted murals on the walls and the 220-gallon tropical fish aquarium, located inside the horseshoe bar, only adds to the ambiance. 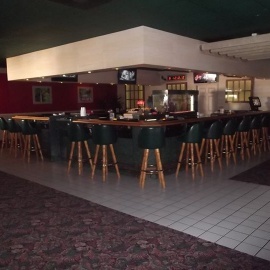 For a great place to visit, meet new friends, enjoy some quiet gaming time on one of the 15 multi-game, multi-denominational Video Poker machines, or just relax with your favorite cocktail, be sure to place Beside the Pointe, or THE POINTE, as the locals call it, on your ‘definite place to visit' list while in Laughlin. AND ALWAYS FREE DRINKS FOR PLAYERS.